Admit it, you want them for the Holidays. Mike Smith already confessed as much on his blog, Meteorological Musings. 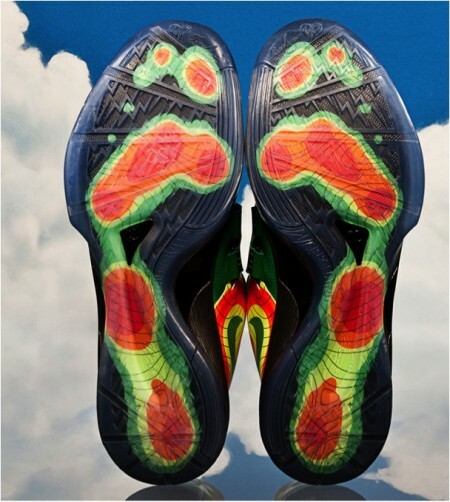 They’re NBA star Kevin Durant’s line of Nike basketball shoes, called the “Weatherman”, replete with temperature shadings, isobars, and, on the tread…radar scans of precipitation. We’ll count the number of pairs we see when we’re together in New Orleans. 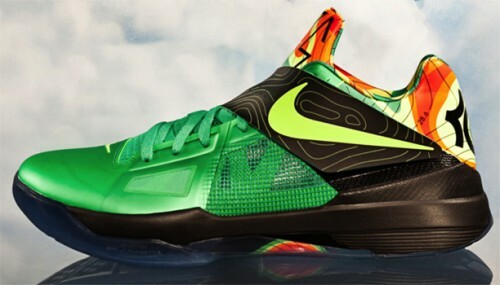 KD-IV Weatherman, from Nike, available starting December 10. A step up in all-weather fashion. Durant of course plays for the Oklahoma City Thunder. 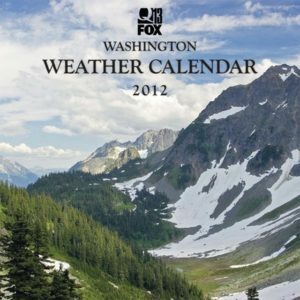 But an even better–indeed a slam-dunk–choice for a holiday gift is recommended by Cliff Mass: the Washington Weather Calendar, co-produced by Q-13 Fox News in Seattle and the AMS Student Chapter at the Univ. of Washington. For $13.99 plus shipping you can soothe your meteorological soul, if not your sole.